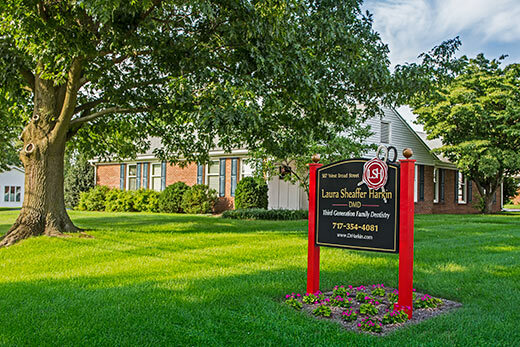 The dental practice of Laura Sheaffer Harkin, DMD is located at 507 W. Broad St., New Holland, PA 17557. Our office is at the corner of West Broad Street and North Hoover Avenue, just a block from New Holland Ford on Main Street. Our office hours are Monday through Friday, from 7:40 a.m. to 5:00 p.m. For appointments click here, or call our office at (717) 354-4081. Please do NOT use this form for cancellations. Need to request an appointment? Click here.